I truly believe that all the answers are on the inside. 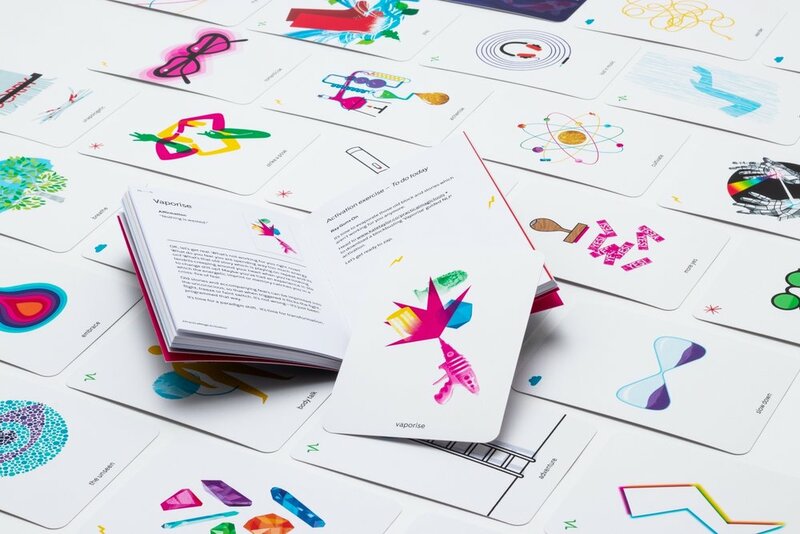 So, I've created a first-of-its-kind toolkit packed with vibrant designs and activation exercises to help you find calm, bust procrastination, spark creativity and activate your next steps. 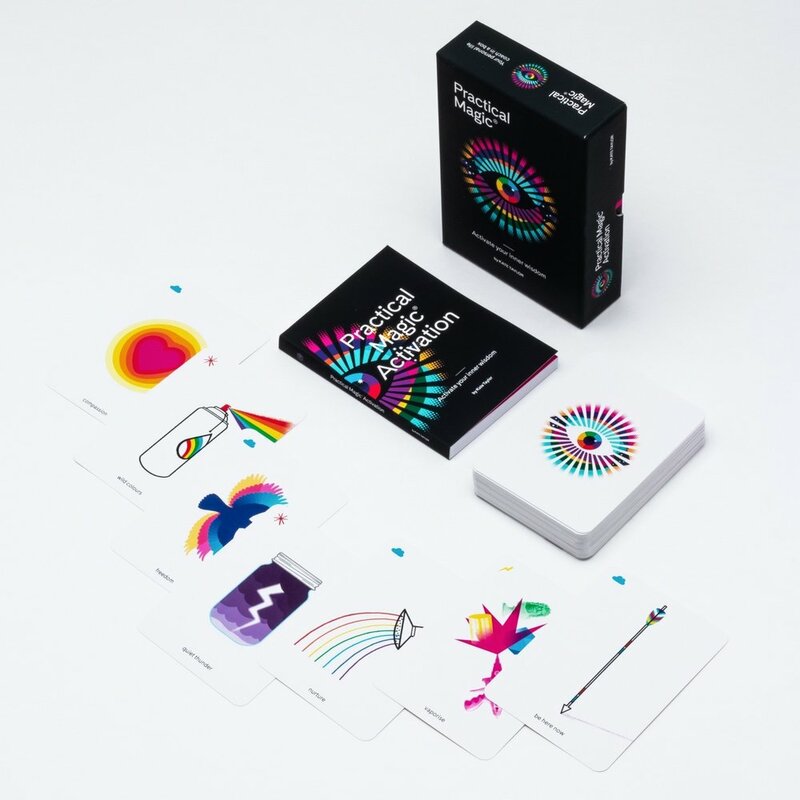 is a toolkit made up of 56 individually illustrated cards and a book packed full of activation exercises designed to activate the essence of who you are. And when you know who you are? Life makes so much more sense. A blended melting pot of many wisdoms that unite to offer a flexible approach to navigating the complex and often confusing world we live in. A truly magnificent lifestyle enhancement bundle for the 21st century. It really is the silver bullet medicine that looks like candy. Beautiful little sparks of spirit. It’s this genius, creative, straight to the heart, no nonsense, bursting with love — a deck of potent cards and a handbook of pure wisdom to inspire everyday and awaken to the magic of being alive.